Mallorcan Ikat has become emblematic of the artisanal heritage of the Island and is its unique version of Central Asian Ikat fabrics. Weaving and ceramic production are of great historical importance in Mallorca, and the skills and individual variation of styles have been handed down through several generations. Ikat is known on the island as ‘the cloth of tongues’ (llengues) because of the impression of a flame created by some of the patterns. There are three families of textile producers of Ikat fabrics, each with their own unique style and products. It's possible to take fascinating guided tours and watch the ancient weaving and hand processes they employ. One thing they share in common, as well as following a centuries old tradition, is that they all take inspiration from the mediterranean. Teixits Riera is a family based artisanal textile workshop founded in 1896. Based in Lloseta, the company is dedicated to a manufacturing process which follows a time-honoured process handed down through generations of their family and nurtures a high regard for preserving the artisanal heritage of Mallorca. Their textiles are inspired by their proximity to the Serra de Tramuntana, the mountain range which cuts across the Island revealing incredible vistas of sea and mountain peaks. These vistas are reflected in the patterns and motifs of their designs. All Teixits Riera fabrics are of natural material... here are some of their colourful designs. Teixits Vicens. At a young age and working from the notes left by his textile weaver father, Martí Vicenç went on to dedicate his life to continuing the family traditions, developing his own style of ‘llengües'. He expanded the classic patterns using traditional colours of dark & light blues, greens & yellows, combining new colorways and creating a freer style incorporating multi-colours, plains and stripes while staying true to the hand-made production ethos of his family. Inspired by nature and natural objects he also became a painter. 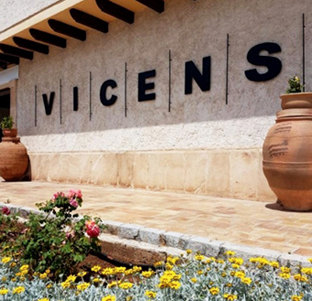 His tradition continues and you can visit the factory in Pollença which also produces ceramics. Here is our pick of the range on offer... sadly the adorable dog is not for sale! Artesania Textil Bujosa founded in 1949 and located in Santa María del Camí just 15km from Palma, is a family-run business managed by a third generation of artisans. Alongside the iconic Ikat ‘telas de lenguas’ they also produce a range of silks, cottons and linens using traditional craft techniques and natural hand-dyed colours in stripes and plains. While putting together some interior ideas inspired by the Ikat principles we were delighted to discover A Rum Fellow, a London-based design studio dedicated to artisan textiles and a desire for beautifully crafted homewares. Calling on artisans and weaving cooperatives discovered on their worldwide travels, the collection embraces a fine balance between heritage design and a contemporary lifestyle... an ethos which very much reflects the design principles of Devas Designs. Here are some examples from their range. And here are some further Ikat and mediterranean inspired designs. To find out more about the Ikat process watch this short video from the Teixits Riera factory.